We recently took a “quick” walk through Oatka Park. As it was late morning things had begun to chill-out in the avian community. 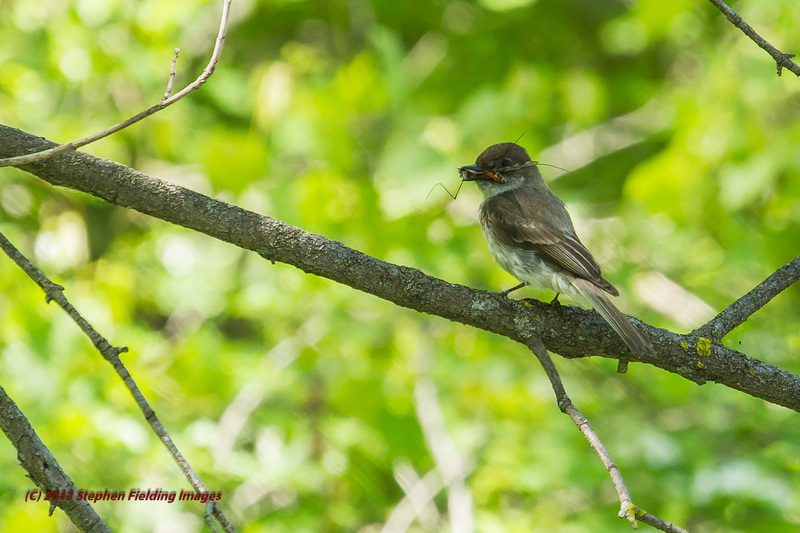 However, one fellow, an Eastern Phoebe, suddenly landed in a tree not far from us where it sat for a long time with a large insect in its beak. I took several photos, hoping for it to provide several poses. Alas, it held its position, except for turning its head. The best photo is shown, below.